Paper... Something. : Painting month, 1st post! So the goal from today (Jan 12th) until the release of Dead Space 3 (Feb 5th), is that I'm going to do a painting a day. The reason for this is that I really want to spend some time playing with different Gamuts, brushes, etc. 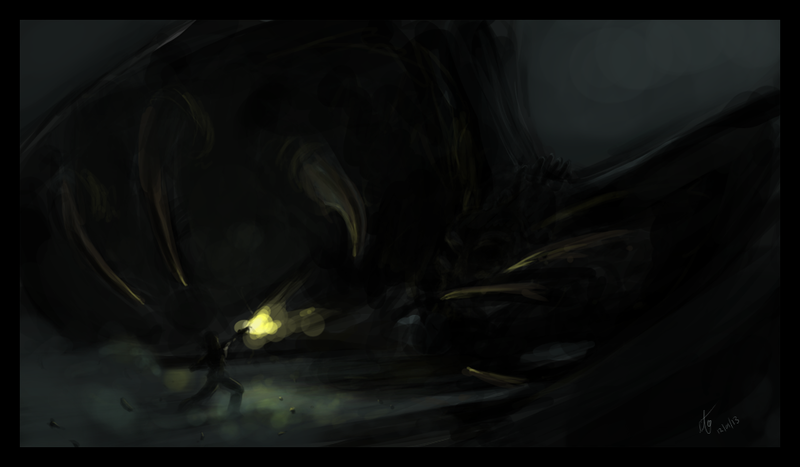 In the spirit of the end date, the release of Dead Space 3, my first painting is a giant monster. Rawr. 1.5 hours - alwaaaays in Photoshop.